Importantly, an Aftercare (managed nutrition program) is part of the comprehensive care of a person with morbid obesity (BMI > 35). Many insurance plans will require the patient to undergo a physician supervised diet for a period of months (usually 3 to 6 months), prior to authorizing a surgical procedure. A common perception is that if the person does well on the diet, he or she will have adequate weight loss with the operation later. Data on this subject is conflicting and we do not feel that this point carries much merit. A better reason to institute a supervised weight loss program is to begin the education and training that a person will need to make better food choices after the operation. Many obese people have developed unhealthy eating habits based on misperceptions or misinformation. Some of this can be corrected preoperatively. Our approach is to connect the patient with carefully selected Registered Dietitian who are experts in managing patients both pre-op and post op. 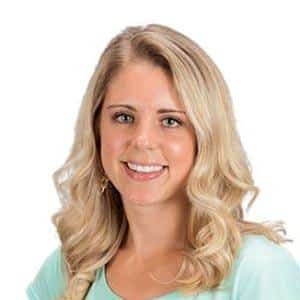 We are pleased to announce a partnership with PsyMed, Inc to offer a managed nutrition program, under the leadership of Renell Cronk, RDN LD. With a team of Registered Dietitians ready to educate and motivate you will learn how to nourish your body to a healthy weight. Recommendations are patient specific, but there are general rules that apply to almost everyone. Keeping a food diary is essential to account for all sources of those calories. 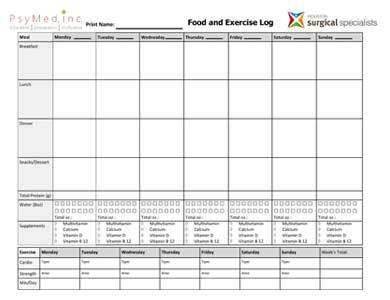 The registered dietitian will review the food diary with the patient during scheduled sessions. Along with proper nutrition, exercise is also key to any weight loss success. We have partnered with trained specialist who can work with our patients privately and even remotely as needed. View our recommended Houston Fitness and Nutrition Coaches. All manufacturers are required to provide the information discussed below by the FDA. Label reading is mandatory to ensure that the patient is consuming exactly what she/he is expecting. To view the FDA guide on nutrition facts labeling, click here. To learn how to read a nutrition label, click here. Doctor Marvin has been very successful in helping morbidly obese patients lose significant amounts of weight with a medical weight loss regimen. * This can also help control some of the associated medical problems related to obesity such as high blood sugar (diabetes), high cholesterol and high blood pressure. * At Houston Surgical Specialists, we consider this an important part of the comprehensive care of Severely Obese people. To expedite your weight loss journey complete the new patient forms HERE and email to info@doctormarvin.com or you may fax to 713-963-0476. After completing this form, a staff member will contact you within 24 hours or less. For pre/post procedure medical questions (including diet and vitamins) please call the clinic 24 hours at 713-993-7124.